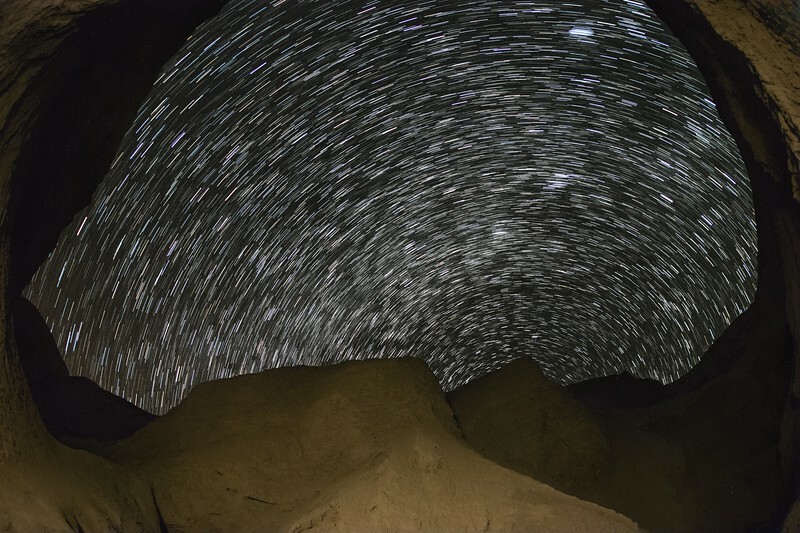 Some star trails I shot from inside the Arroyo Tapiado Mud Caves in Anza-Borrego Desert State Park. I combined 45 exposures using StarStaX to produce this photo. The final frame was illuminated with a Nichia 219BT natural color temperature LED.